The Big Wordsearch Collection - an assortment of wordsearch puzzles. 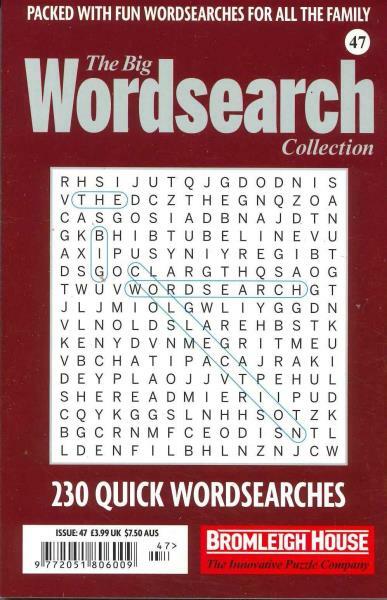 Buy a single copy or subscription to The Big Wordsearch Collection magazine. An interesting selection of wordsearch puzzles to keep everyone entertained.